Before we get in to talking about the editorial calendar, there is one more very important thing we need to think about. 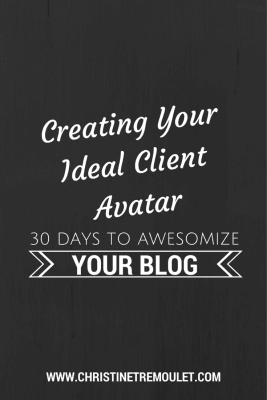 Creating your Ideal Client Avatar! 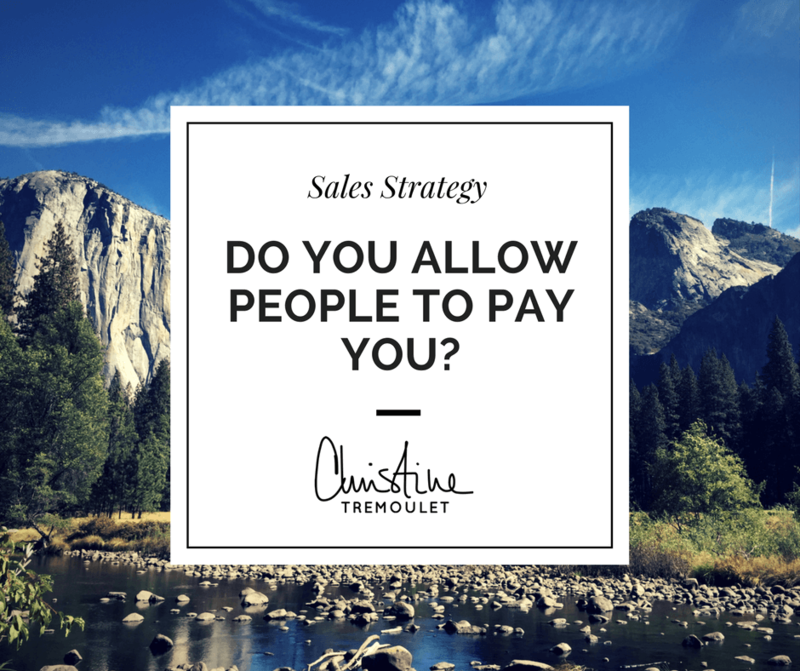 This is a great exercise for your business as a whole, not just for your blog. What can you tell me about who you are talking to with your marketing? Years ago, I attended a workshop for wedding photographers and the speaker asked us to describe our ideal client. Most of the people he called on answered, “A bride looking for photojournalism wedding photography.” Or maybe “A couple getting married in Houston.” Really vague, general answers. My hand shot up in the air. I was giddy with excitement, ready to answer his question. How can you know what to say when you don’t even know who you’re talking to? When does she wear makeup, if she does at all? How does she normally style her hair? Any causes or things she is passionate about? What other blogs does she read? Her favorite stores to shop at? How does she dress? Her favorite clothing item? What is her favorite type of restaurant? Beer or wine? Coffee or tea? Mac or PC? iPhone, Android or Windows? iPad or Android tablet? Does she like to travel? Where does she like to go? Is her favorite Saturday night one out partying on the town? Or home with friends? Where will she share your website with her friends? Where does she go to ask for recommendations? What is her favorite guilty pleasure? What are the luxuries she can’t live without? Why is she reading your website? What will she want to buy from you? What problem can you solve for her? Do you feel like you are in their head now? Awesome! Your next step in creating your Ideal Client Avatar is to give her a name! Whatever you want. I want her to be so tangible to you that you feel like she could walk up to you on the street at any moment. You know her almost as well as your best friend. Take all the information you’ve gathered and summarize it in to a brief. Tell me what her name is, describe her to me. Where does she live, what is she like, why is she reading your website. Keep it to just one page. If it helps you visualize her, find a photograph that matches your vision of her. (This is only for you, so you can use any photo you want.) If one of the questions does not apply to you? Leave it off. Use as much as you can and be as detailed as possible. Now, with every post you write, you can ask yourself what you want her to know. What do you want to say to her? What would she get out of the post? What problem are you solving for her with your content? The fastest way to clear writer’s block? I think of it as if I’m writing a letter to my ideal client avatar. What can I tell her that will benefit her? Once I think of it from that angle, the words just flow. Now that we know who you’re writing for and why you’re talking to her, we can create an editorial calendar full of content that will speak to her! If you want, I’d LOVE to hear about your ideal client avatar! Leave a comment for me and tell me all about them! * I rarely book weddings now, only taking them on for family, friends & referrals from my past wedding clients. My ideal clients now are in their 30s-40s, and probably having a destination wedding. The rest still applies! ** I didn’t realize as I started to describe her, but as I was talking I knew I had an exact client in mind. I later told Tricia that she was my “poster child” for wedding photography. That is so great to hear, Robyn! Having it handy makes writing posts *SO* much easier for me! I’d love to hear more about how it helps you! Keep me posted when you have time! Jessica Paul liked this on Facebook. Oh my gosh! This was so helpful. I have been trying to write up my ideal client for weeks. 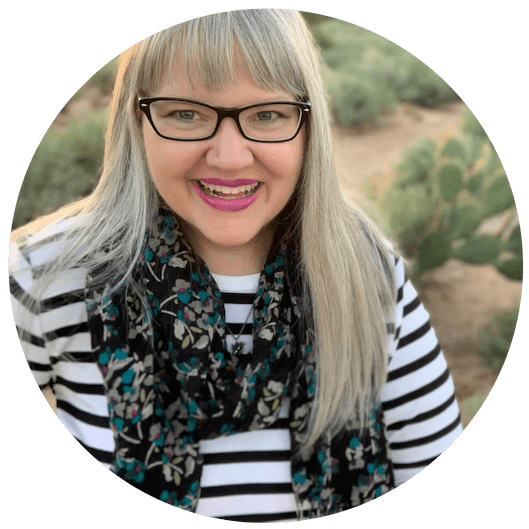 I’ve got all these books and blog posts I’m reading, directing me to decide who my ideal client is, but not enough info to really point me in the right direction. Your description and list of questions pretty much nailed it down for me in about 5 minutes. FINALLY!!! Christine, this blog post is so on point for me today. After all the whizzing post-WPPI, I just now sat down to create an editorial calendar for blog posts as per your class. Then I saw this post and I realized I haven’t been writing to my ideal client because I never sat down to think about it! Really quick question though — what happens when I have more than one ideal client? I know that kind of defeats the purpose here, but I’ve worked with many amazing couples that I can’t create one that encompasses all the good qualities that I liked from each one. Do I create a different avatar for each post then? Bernadette, GREAT question — and I should go back and edit to add to this post about that very topic. I would create an Ideal Client Avatar for each person you feel that you are talking to, and then look for common threads among them all. I know that, for example, when I’ve worked with people that have done senior portraits, weddings, and family photography, they find that when they create three client avatars and then review them, they can see the threads of what is similar between all three of them. The person that is the senior portrait client will grow up to be the wedding client, who will eventually become the family portrait client. Maybe they listen to similar types of music, or have similar interests – whatever the case may be, there are almost always common threads. Most often, they also aspire to be similar to you in a way, if they are not already. Hope that helps!